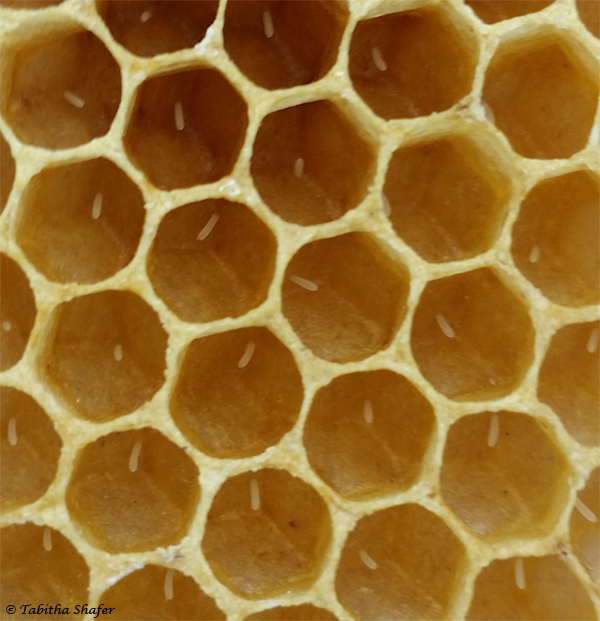 This entry was posted in Bee Management, Our Bees and tagged bee eggs, burr comb. Generally it means they don’t have enough space for the Queen to lay eggs. 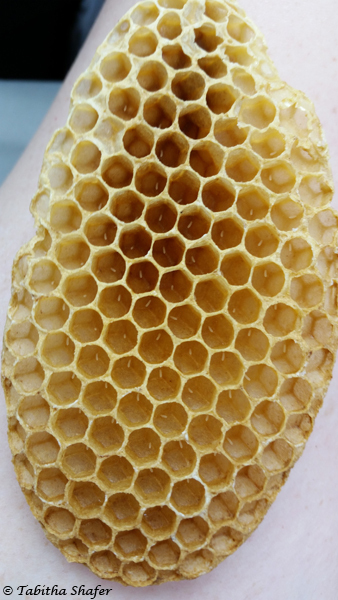 This particular hive is relatively young, a split we made 2 months ago. They had 2 empty frames that they also began drawing out comb on, so right now they have room. Yes 🙂 We thought the same. Great photo of the eggs, very clear.